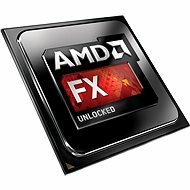 AMD introduces a new generation of desktop processors of the FX Series that feature the new Piledriver modules instead of the old Bulldozer modules. These processors will provide the users with higher performance and lower energy consumption. All of these processors are designed for the popular AM3+ socket. If you do not use all of the processor cores, it automatically increases the working frequency to achieve excellent performance even for applications that cannot use the full computational potential. In addition, the processor has a pair of turbo frequencies that can be switched to always maintain it lower than the set TDP. The processor supports DDR3 memory modules. It also works well with low-voltage modules. This model features an intelligent memory controller to optimise the communication between each processor core and memory modules. If you like tuning your system, you will surely appreciate the unlocked base frequency multiplier. With a high-quality cooling, you can enjoy the processor's computational potential to the fullest. 3.5 GHz (3.5 GHz) Done! 4.1 GHz (4,100 MHz) Done! Open multiplier, Virtualization, Cooler pack Done! 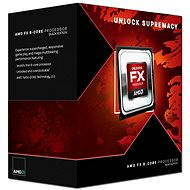 For shipping to other EU countries visit this page AMD FX-6300. 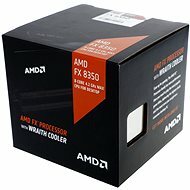 Für Versand nach Deutschland, besuchen Sie bitte Prozessor AMD FX-6300. Chcete doručit zboží do Česka? Prohlédněte si AMD FX-6300. Chcete doručiť tovar na Slovensko? Prezrite si AMD FX-6300. Für Versand nach Österreich, besuchen Sie bitte Prozessor AMD FX-6300. Magyarországra történő kiszállításért tekintse meg ezt a termékoldalt: AMD FX-6300.